For the vast majority of people in this country, having a bank account is something that is taken for granted. For those people who have to get by without the use of a bank account, for example those who have been declared bankrupt, simple, everyday tasks such as receiving wages or paying bills, suddenly become far more complicated, and costly. Growing numbers of people who have been declared bankrupt are now finding themselves in this awkward position. A report by the national charity the Citizens Advice Bureau has expressed genuine concern that people who have been declared and discharged from bankruptcy are frequently being excluded from opening even the most basic bank accounts. In this respect, the law is quite clear. Once a person is declared bankrupt, as long as they are formally discharged there is no legal reason why they cannot open a bank account. Despite this, Citizens Advice found that only two out of the seventeen banks that provide simple, no credit bank accounts offer them to people who have been discharged from bankruptcy. Using their network of bureaux up and down the United Kingdom, Citizens Advice accumulated evidence that banks were ignoring the rights of bankrupt people. 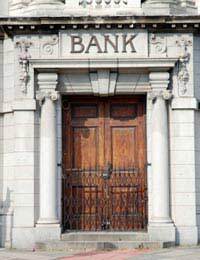 In a report entitled ‘Called to Account’ they questioned the reasons behind the stance the banks were taking and urged the financial sector to do more to assist people working their way back from bankruptcy. Their evidence leads them to conclude that being denied the opportunity of having a bank account causes a number of problems for people. Citizens Advice view it as demoralising, impractical and leaves people who are struggling with their finances and hoping for a fresh start in even worse peril than when they were going through their bankruptcy. Without the use of a bank account people are not able to benefit from direct debit discount schemes for their utility bills, or obtain online discounts. Many organisations charge extra for cash payments. In worst case situations, people may not be able to change jobs or gain employment because their potential employer will only pay wages directly into a bank account. So Why Are Banks Denying Bankrupt People the Right to Open a Bank Account? Many banks argue that they are concerned about potential liability, that discharged bankrupts are more risky customers than those with no history of bankruptcy. Of course this argument doesn’t really add up. Bankrupts who have been discharged have demonstrated to the courts that they are capable of repaying their debts and living within their means, as part of the discharge process. One could make a counter argument that those valued customers that have accumulated lots of debt but have yet to be declared bankrupt are far worse a ‘risk’ for the bank than the customers they are denying simple bank accounts for. Citizens Advice is now calling on those banks that continue to deny bankrupts the use of bank accounts to review their policies as a matter of great urgency. These calls have been echoed by the Treasury Select Committee which wants to make basic bank accounts more accessible to the wider population as a whole. Just because someone is declared bankrupt they should not put their life on hold or be branded a second class citizen. @bee - Bankruptcy generally lasts for one year. After this time, you'll be informed that you are 'discharged'. Bankruptcy will remain on your credit report for seven years from the filing date. If a you did not repay any of the debts included in the filing, your bankruptcy will remains on the credit report for 10 years. I have included a gov.uk link here that will give you more information. Please can some Dvise me if I had been made personally bankrupt in 2009 firstly when will I be discharged Anand will j need to apply to the court for a certificate of Will it be automatic and will I or should I receive notification of the discharge?Secondly how long will it stay on my credit records ?Finally will I need to advise any future employer that I had been made bankrupt in 2009please ?